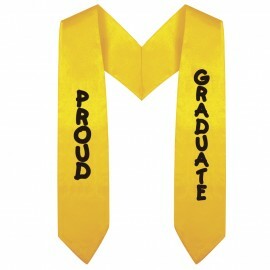 Over the years, the popularity of our pre-school graduation honor stoles has grown dramatically. 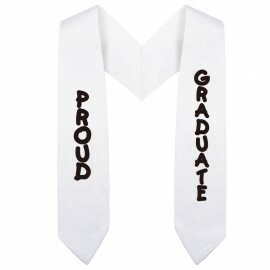 There's no denying that this type of graduation stole is a symbol of achievement in a young student's academic life. With Gradshop, you can be assured that each and every pre school graduation stole is guaranteed to make your child stand out from the rest, owing to the top quality materials and craftsmanship that goes into them. 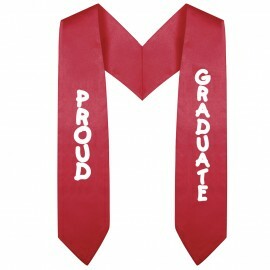 Choose from a wide variety of colors to suit your young graduate's required color scheme. We stock a red prechool stole, white pre-school stole and blue pre school stole. Order online today or get in touch with us to get more information on our children’s pre-school graduation stoles.